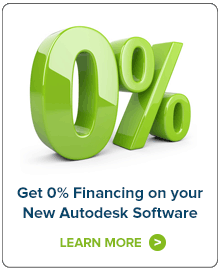 Many organizations use Autodesk Vault for their data management needs. While, it works well and provides many valuable tools, there are certain workflows which are manual and/or impossible for non-CAD users. IMAGINiT Utilities for Vault Client addresses some of these pressing needs of Vault Client users. 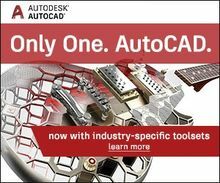 The tool runs directly inside Autodesk Vault products and is free to clients who are annual subscribers of Autodesk products though IMAGINiT. Ask your representative for additional details. Link Generator: Retrieve URL links to the Vault Thin Client for selected files or items, making it easy to send information to others. Auto-Update Folder Properties to File Properties: Quickly synchronize properties applied at the folder level to corresponding properties at the file level. Create Local Folders: Create folders in the Vault working folder hierarchy to match the Vault folders. Visual Lifecycle Tab: Provide a visual description of the current file’s lifecycle definition, including its current state as well as the available transitions to other states. Standard Folders: Enables the administrator to configure folders of standards that are updated whenever someone logs into Vault. Provides support for Administrative-only templates (when creating folders from templates) and for forcing a get-latest on single folders. Lifecycle Change Notifier*: Provides an email notification when your project has lifecycle state changes and allows support for reporting properties in the Lifecycle Notification setup. Create Folder from Template: Quickly and easily set up complex project folder structures with the click of a button. No more manually creating directories, sub-folders or clunky work-a-rounds. Setup multiple templates per your project and/or office standards and make use of this time saver. Extract Bill of Materials (BOM): Create a BOM within Vault, based on your CAD data and export to Excel or CSV. Create PDF/DWG/DXF: Generate PDFs from Inventor IDW and DWG files at the press of a button using the Job Processor. The PDFs can be stored in the Vault or published to an external folder. If you require additional automation, Utilities for Vault Client can also auto-generate jobs based on key lifecycle events (for example, releasing a file). PDFs can be created either on-demand or automatically as product lifecycles change. Includes new job types for making DWG and DXF files from IDW files and provides support for publishing PDFs on lifecycle changes outside of the Vault. Batch Checkout of Files**: Simple method of checking out multiple files at once. IMAGINiT Utilities for Vault Client is free to clients who have an annual Autodesk product subscription through IMAGINiT. Ask your representative for additional details. * This utility only available in Utilities for Vault Client 2015 - 2019. ** This utility only available in Utilities for Vault Client 2014 - 2019. This is the final part of a multi-part paper adapted from the class: Unlocking the Power of the Job Processor presented at Autodesk University 2014. Part five shows how the job processor can perform extended functions only available by customizing it with 3rd party add-ons. Automated PDF and STEP file creation are illustrated using coolOrange powerJobs and the IMAGINiT Utilities for Vault Client.